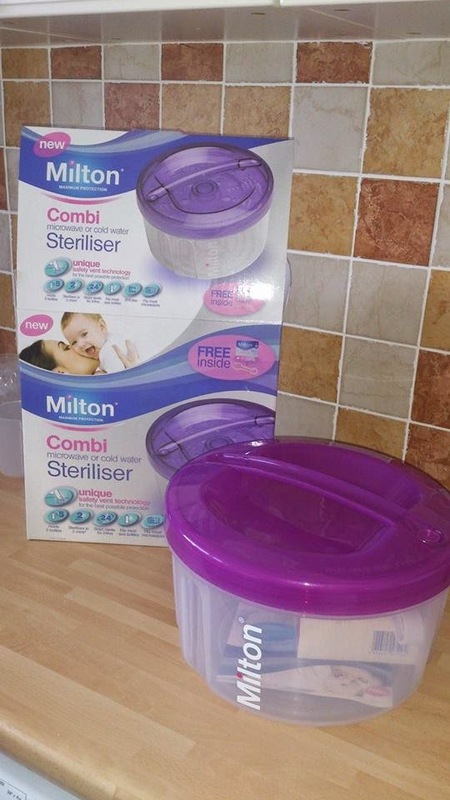 We were recently sent a from combi steriliser to try out from the lovely people at Milton to try out and review with our new little arrival! I was really excited about trying out the Combi steriliser as I hadn't seen this before and have previously only used the electric steam type sterilisers with James so was intrigued by the cold water method of sterilising. The Combi can be used either with the Cold Water method (using sterilising tablets or fluid) or in the microwave. The first thing I noticed was the colour! I loved the fact in came in a vibrant pink colour (it is also available in turquoise and white) and thought this was a really nice touch as most sterilisers are just a standard white. The steriliser is compact enough that it doesn't take up heaps of space on the kitchen side (which is always a bonus for us as we don't have a massive kitchen). 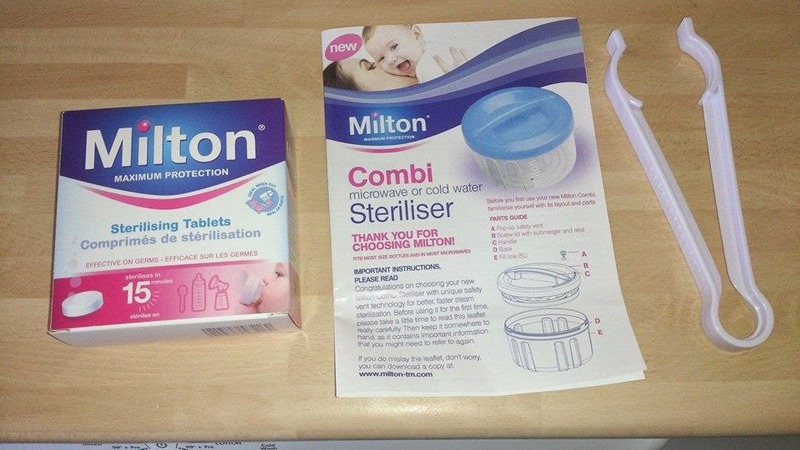 The steriliser comes with a pack of milton sterilising tablets and tongs as well as a handy leaflet explaining the methods you can use with the steriliser. Both the cold water and microwave methods of using this steriliser are so simple to use! Watch this short video to see how the steriliser works. Another big plus for me was that it can hold ANY brand of bottles! It does hold slightly less bottles than some other sterilisers as I have found most hold 6 but the Milton Combi holds 5 however it is so quick to sterilise the bottles this really isn't an issue. 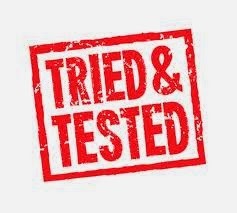 The Combi steriliser sterilises from 2 minutes in the microwave and in 15 mins with cold water! Overall we really liked the Milton Combi steriliser, I loved the fact it came in a choice of colours and the quickness of the sterilising. 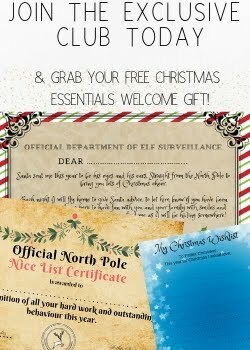 It was easy to use and priced at around just £24.99 offers pretty good value for money! What steriliser do you or have you used? Which method of sterilising did you find best? Cold water is SO much easier as you can just drop things in a tank set up for the day. It's also more portable for holidays etc. I didn't bottle feed but still needed a steriliser for dummies etc so loved my cold water option! I've used steam, microwave and cold water ones and much prefer the cold water ones. Cold water sterilisation is easier than people might think. 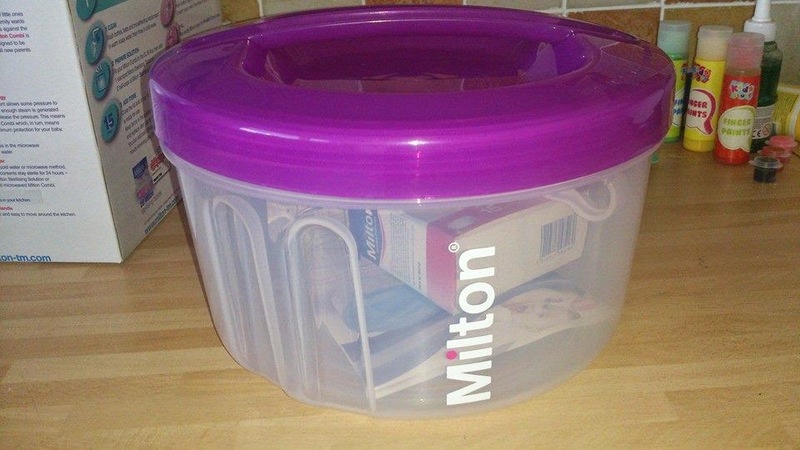 I think Milton is great and although I tended to use a microwave steriliser at home when my children were babies, I always had a stack of tablets in the cupboard for when we went away on holiday. This looks handy and it's great that you can use with the tablets too for when you're away etc. Gret review, cheers. I always used a microwave steriliser - it was so quick and easy but this looks great too! We've always used a Philips advent electric steriliser, never tried a cold water one! We too used a Phillips avent electric steriliser. Could fit all sorts in it!